Periodontal disease is common in both children and adults today. 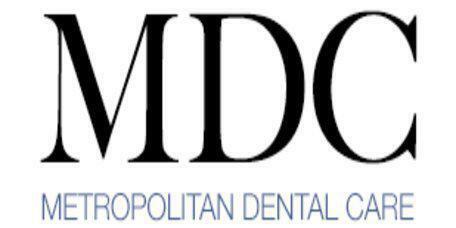 Midtown, New York, NY patients who have early signs of periodontal issues during checkups can prevent them from turning into something serious. Dentist Dr. Nicole Mermet, serving Bryant Park and Grand Central Station, helps her patients beat periodontal disease, whether it's early stage or advanced. What Does Periodontal Disease Mean? Periodontal disease refers to infections that impact the gum tissue in the mouth. This type of disease progressively destroys the support network for the teeth, namely the gums and the bone of the jaw. Because periodontal disease does not have a cure, prevention and control are key. Gingivitis is the earliest form of periodontal disease, and it often leaves gums susceptible to redness and bleeding. Stage two periodontal disease occurs when plaque has become tartar and the gums start to recede. In the last stage of periodontal disease, gums recede even more; the bone starts to deteriorate, and the teeth often shift. Sometimes, teeth fall out as well. In most cases, periodontal disease does not have clear symptoms. It is typically painless. Therefore, it is especially important that both children and adults have regular dental check-ups. Why Does Periodontal Disease Occur? The primary reason for periodontal disease is bacteria accumulation in the mouth, which leads to plaque buildup. Although plaque is easily removed with diligent teeth brushing and flossing, if these things are not done regularly and with consistency, they are no longer effective. Plaque that is not removed for every couple of days will harden, becoming tartar that can no longer be removed with just brushing and flossing. Some people may inherit a tendency towards periodontal disease, so people with periodontal disease in their family need to be especially vigilant about oral health. How Does the Dentist Diagnose Periodontal Disease? During a dental check-up, the dentist will take measurements of the area (the pocket) between the teeth and the gums. When the measurement is deeper, it indicates periodontal disease. In some cases, patients will show other signs of periodontal disease such as bleeding from the gums, inflamed gums, and shifting teeth.